The GenBuilt Series is available in numerous configurations. We offer standard, ready to ship products as well as engineered products for custom applications. Standard doors are 1¾ in. (45 mm) thick and are available in 14, 16, 18, and 20 gauge galvannealed steel. The GenBuilt Series is also available in stainless steel and G90 galvanized steel. Door faces are flush and free of any joints, welds or seams. 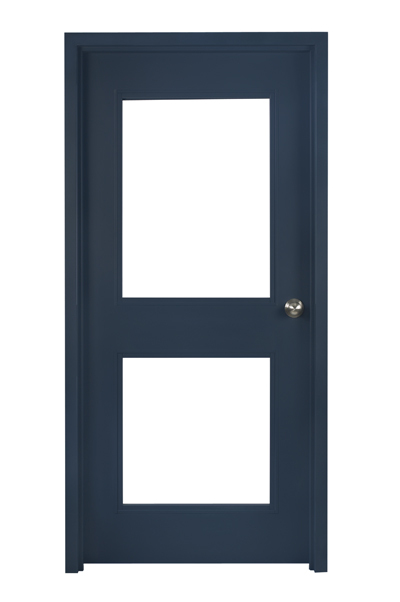 Longitudinal door edges are interlocked with mechanical seam and reinforced with epoxy adhesive (seamless edge optional). Door edges are beveled 1/8” (3 mm) in 2” (50 mm). 4 1/2″ x 4 1/2” (114 mm x 114 mm) hinges which can easily be converted to accommodate heavy weight hinges. Gensteel doors come with an unrivalled 10-year warranty against delamination. Our warranty also covers rust perforation (10 years) and material and/or workmanship defects (2 years).